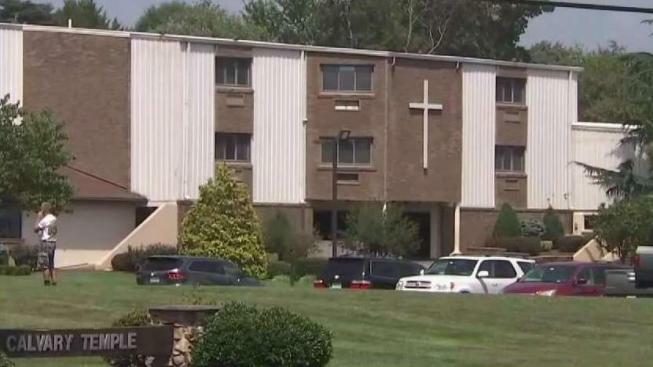 A man facing allegations he sexually abused a child in 2003 is connected to a church in Sterling, Virginia, with a controversial history. Loudoun County deputies arrested 62-year-old Kevin O'Connor, of Sterling, and charged him Thursday with numerous counts of sexual assault and battery as well as taking indecent liberties with a child. Police said the victim was between 13 and 15 years old at the time of the abuse in 2003. Former members of Calvary Temple Church said O'Connor was a deacon at the church. “After all these years, you know, somebody is doing something,” former member Marsha Foster said. Foster and her family were members of the church for decades. She and her husband Gary Foster left the church in 2007, but they weren't reunited with their son until seven years later. "Those are seven years I’m not going to get back,” their son Michael Foster told News4. Former members like the Fosters say Calvary Temple is a cult and they allege that church leaders have physically and sexually abused members. “Once you speak out, once you question, the process begins and you are singled out. The shunning begins,” Gary Foster said. The Fosters still do not have contact with their eldest daughter and they have never met her children - their grandchildren. “The culture is such that if you do leave, you will be cut off from your family,” said former member Ellen Kusar. She left the church in 2009. The sheriff's office said the abuse allegations against O'Connor were first reported in May 2003, but prosecution was declined due to insufficient evidence. Detectives reexamined the case in 2012 and leads developed through interviews led to O'Connor's indictment, according to the sheriff's office. The alleged abuse is not believed to have happened at the church. “The fact that so many people knew what had happened says to me that it is entirely connected to Calvary Temple,” Kusar said. Kusar and the Fosters said they have told police about other allegations of abuse within the church and believe that more arrests should be made. “This isn’t the only case. This is just the tip of the iceberg,” Michael Foster said. “We’re thankful for what the Loudoun County Sheriff's Office has done, but they’re not finished as far we’re concerned,” Gary Foster said. When asked about other allegations, the sheriff's office said it doesn't comment on ongoing investigations. News4 has reached out to Calvary Temple for comment, but has not received a response. O'Connor is in jail without bond.